Can you describe your job at the BibAlex? I am the Deputy Director of the Visitors’ Department of BibAlex. The Visitors’ Department is the first place a visitor comes in contact with, once in the Library. I’ve been working here until 2002, a week before the official inauguration; I started as a Tour Guide, then I was promoted to the Head of Tours Section and eventually to the Head of this Department. Can you draw an outline of the aims that led to the building of the new Library in place of the mythical one? First of all, it was decided to rebuild it very close to the ancient location: actually, the ancient library was about 200m. west to this site. 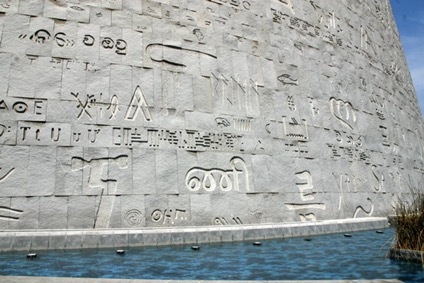 The façade of the main building is made of Assuan grey granite, round and carved with 120 inscriptions, each one in a different language. The new Library was meant to be a revival of the ancient one, that was not only a library at the time: indeed, that was a centre for learning: among the other structures, there was a zoo, and all scholars came to study here from all over the world. Grrammars and philologists were in charge of copying, noting and correcting the texts; critical editions were edited and stored: scrolls were about 490.000 in Philadelphus’ times -that is, about 120.000 volumes in actual books- and when more space was needed a Serapeus was built. Therefore, the revival of a new library had to be realized in practice with the same spirit and role of the ancient one. We are working to perform this role and, thanks to computer science and globalization, we even succeed today in having a wider one. Indeed, what is also interesting to know is what the Library represents nowadays, what it contains today that is different from the ancient times. Today, the BibAlex actually consists of 3 main buildings: the main building of the Library, a Planetarium and a Conference center. The main library itself is a huge building in the shape of the rising sun, to symbolize the sun rising from the sea as a symbol of a non-stop knowledge, a daily renewal of knowledge in the shape that Snowhetta, the Norwegian enterprise that won the contest for the design, planned in 1989 ; the library itself had a reading area of 20,000 m2 , an open reading room for 2000 readers that is the widest reading area in the world; is has seven stores, resulting in a vast light-filled reading room with a glass ceiling that slopes towards the Mediterranean. Finally, it is meant to hold eight millions of books. We increase books by acquisition and donation; we work on acquiring books on different scales: starting from Egypt and proceeding on different circles, first the Middle East, then the Mediterranean, Africa and eventually the whole world. The second building is the Planetarium Science Center, which is a centre where we have a 3D room to shot scientific movies, both for adults and children. We also have a centre to encourage children to love science, where they can have all different experiments, in Physics, Science, Chemistry and this is where they start to love science, because they work it, they produce results with their hands. We have special workshops that work on special programs, in accordance with the school requests during school time, while in the summer we have full loaded centers with hundreds and hundreds of children coming to join the summer programs. The third building is the Conference Center, which is a huge center that has several holes for different facilities, and these holes can host different kinds of events: seminars, conferences, concerts, all equipped with the complete facilities up to the highest international standards. What about the exibitions the BibAlex hosts? In fact, within these three buildings we have four museums: the Sadat Museum, the Manuscript Museum, the Antiquities Museum and the History of Science Museum. We also host fifteen permanent exhibitons: three heritage collections – the Arab Folk Art; the Arab-Muslim Medieval Instruments of Astronomy and Science; the Bulaq Press. Three personal collections: the Awad Collection on Alexandria, the Shadi Abdel Salam Exhibition, regarding the famous Egyptian film-maker; the Arabic Calligraphy Collection. And eventually eight Exhibitions of contemporary visual artists. Last, but not least, “Our Digital World” showcases BibAlex most exciting digital projects. 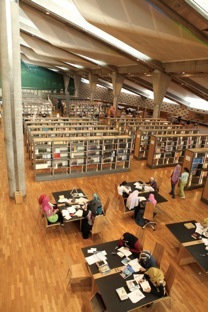 The exhibition includes projects documenting the history of modern Egypt, for example the digital archives of former presidents Naguib, Nasser and Sadat; scientific projects as the Encyclopedia of Life (EOL); digitization projects of precious books. There is also a section with computers to give the public the opportunity to explore the collection of the digital initiatives, and there are short movies on each project in different languages. Besides, we have several centres covering different cultural aspects, such as the Alexandrian- Mediterrranean studies, the Islamic studies, the Coptic studies, the Hellenistic studies, that are all on our website for people to look up. The BibAlex website contains all the detalied info, and is a very user friendly website that is constantly updated and re-designed, where perspective and virtual visitors can easily plan their tour and find all the information they need. Could you highlight other outstanding aspects in which the BibAlex interacts with the city? Of course it goes along with different ages and interests. We have models for different political aspects: Activities for the youth are especially wide: for example we can involve the youth to express themselves about the problem of the Nile, or the problems we suffered after the Revolution; besides, children –apart fron the scientific field- have their own library. We not only serv tourist with guided tours, but also have tours for children, and different competitions about knowing Alexandria better, or knowing the Library better. We have special events for the very young, under 6 years; we try to educate and improve their behaviour regarding the city, such as how to keep Alexandria clean, or to perform very simple etiquette sessions; we try to cover as wide aspects as we can, which means that even the Department of visits is not involved with visits only. This means we try to reach also schools with very primitive and limited facilities, which cannot reach the BibAlex, so what we do is to take the Library there, show a presentation and a movie about the Library that orient them about it, and we still make a presentation in cooperating with other library departments, such as the Calligraphy, so they can learn very basic elemets of calligraphy, such as the Pharaonic letters. We try to work as wide as we can to develop the young generation’s knowledge of the past and their cultural identity. What about the aspects the BibAlex addressed to the adults, such as concerts, exhibitions – I am thinking for example of the MET broadcasting on Saturdays, and of similar events as well. 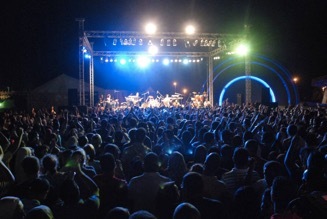 This part is actually wide, as artists come to the BibAlex for concerts and exhibitions but also for workshops, so the cultural part addressed to the adult public is really wholly covered under a wide range of aspects. The Great Hall, the main auditorium, can comfortably accommodate more than 1600 persons. 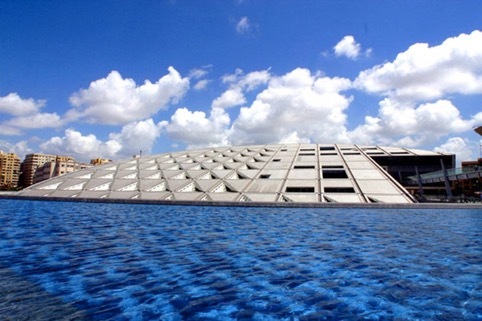 It is used for international conferences, symposia, meetings, seminars, concerts, presentations and performances. The Great Hall is equipped with complete audio-visual devices. The Small Theater, accommodates about 200 guests. It usually hosts smaller conferences, seminars ,theatrical plays and chamber music. The Delegates Hall has 100 seats and fully equipped tables, with internet connection, simultaneous interpretation head phones and a microphone. The Lectures Hall has a theater-style setting with armchairs and folding tables. It is suitable for international conferences, symposia, lectures, seminars and presentations, and can host around 200 people. Besides, there are five seminar rooms in the Conference Center, and one seminar room in the main Library building. Another area widely covered concerns congresses and meetings – I see now the Cardiology Seminar for example, and in October I personally experienced the final meeting of a two-year programme concerning Egypt Culture and Heritage, held in collaboration with the EU. This underscores another important role the BibAlex plays, that is the link with world cultural and economical Institutions. Yes, we basically work on the idea that the BibAlex is the window from Egypt to the world and viceversa, from the world into Egypt. We are not closed to an area, but we have links with libraries all over the world; the widest we can go, the better; we have a lot of agreements, with a lot of international associations that help the library in projects and funding. The link is not only economical, but people are willing to come to work for the project itself, the documentation, the digitization. Could we say the BibAlex has an international staff? Well it is not exactly the idea of an international staff, as people come to work on projects and then go when the project is accomplished; this develops within the different projects and it is again very wide, covering many different nationalities and research centres. Actually we have connections all over the world with the most important libraries, mainly in terms of digitalization, but also the idea of being connected in terms of human resources is very alive – the interest in concretely come and see, and reproduce, what the Library represents is very attractive for people abroad. Our Library is a bench mark for people from abroad, and even working as a volunteer here means playing a great role in the library, gaining a lot of experience; I can see it in interviews from people coming to the Library, they really fancy coming here and work for this outstanding institution, so we always look forward to having volunteers from abroad, and even if they are not convenient on a Department we try and succeed in finding them a suitable place. Beacause the volunteers have a lot of energy, they are very willing to learn, and they are extremely motivated, so we give them a chance even if it’s not particularly convenient for the BibAlex. One last question concerns the future projects planned now in the BibAlex. Each Department in the BibAlex has its own projects for the future; it’s impossible to identify a main one, and I would be unfair quoting one, as they are all working hard and enthusiastically about their projects. Moreover, each project is deepening and digging back to widen its subject. The library is constantly renewing and updating its subjects. Thank you Yasmine, for your time and the precious information. 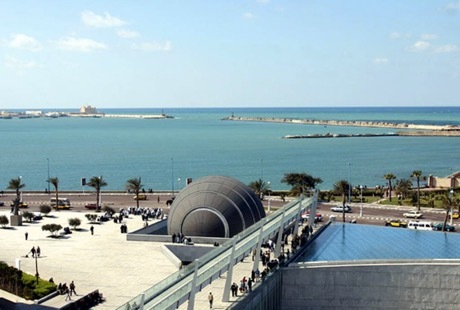 I am sure our audience will be interested in deepening the subject of BibAlex and in time also to visit Alexandria and this unique cultural site. Thanks for the interest expressed! BibAlex is always glad to spread news about its activities, to attract new Institutions and to start new partnerships all over the world.